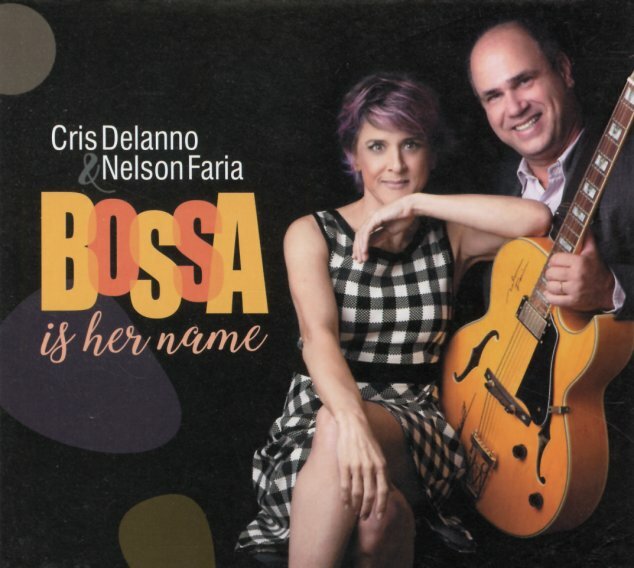 Bossa is her name, and bossa is the sound – a beautiful collaboration between singer Cris Delanno and guitarist Nelson Faria – who team up here to do a great bossa nova reworking of Julie London's classic album Julie Is Her Name! Given the strong use of acoustic guitar on the original Julie London album, the shift is one that's still nicely faithful to the classic – but Cris Delanno's got maybe a slightly less melancholy style to her voice, which perfectly fits the sprightly guitar of Faria. There's no other instrumentation at all – just voice and guitar – and titles include "No Moon At All", "Cry Me A River", "I'm In The Mood For Love", "Say It Isn't So", "I Love You", "Easy Street", and "It Never Entered My Mind". © 1996-2019, Dusty Groove, Inc.